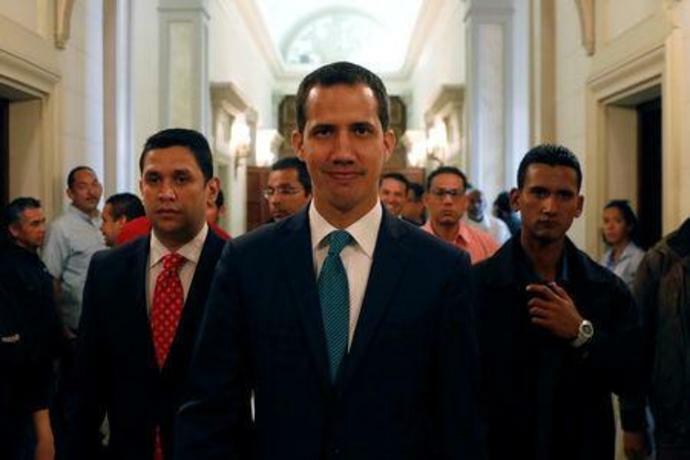 MADRID/CARACAS (Reuters) - Major European nations joined the United States on Monday in recognizing opposition leader Juan Guaido as Venezuela's legitimate head of state, while a separate regional bloc meeting kept up the pressure on socialist President Nicolas Maduro. The coordinated recognition by 11 nations - Britain, Germany, France, Spain and seven more European Union members - followed the expiration of an ultimatum for Maduro to call a new presidential election, aligning them with Washington and against Russia and China. "From today, we will spare no effort in helping all Venezuelans achieve freedom, prosperity and harmony," Spanish Prime Minister Pedro Sanchez said as he announced that Madrid had recognized Guaido, the head of Venezuela's National Assembly who declared himself last month to be the country's interim ruler. Maduro's government, overseeing an economic collapse that has prompted 3 million Venezuelans to flee the oil-rich country, lashed out at the EU nations and said the move would affect relations with Caracas. In a statement, Venezuela's government said it "expresses its most energetic rejection of the decision adopted by some European governments, in which they officially submit to the U.S. administration's strategy to overthrow the legitimate government of President Nicolas Maduro." Maduro's government singled out Spain for acting "cowardly." Other EU nations taking similar action included: Austria, the Czech Republic, Denmark, Estonia, Poland, Portugal, and Sweden. Maduro, accused by critics of running the OPEC nation of 30 million people like a dictatorship, has been in power since 2013. Norway, not an EU member, is not recognizing Guaido as interim president, Foreign Minister Ine Eriksen Soereide told Norwegian news agency NTB. She urged Venezuela's government and opposition to establish a political process that could lead to new elections. 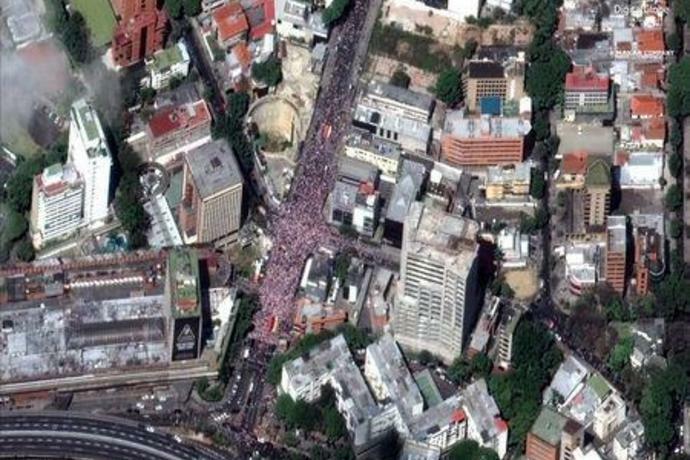 Guaido, accused by Maduro's government of staging a U.S.-directed coup, has galvanized Venezuela's opposition movement. Maduro, who has maintained the critical support of the military, is facing widespread calls from some of Venezuela's neighbors and other nations to resign after last year's disputed presidential vote. He has defied European heads of state and called them sycophants for following U.S. President Donald Trump. The United States welcomed the EU nations' recognition of Guaido and encouraged other countries to follow suit, U.S. Secretary of State Mike Pompeo said in a statement. Maduro sent a letter to Pope Francis requesting a renewal of dialogue in the crisis, the Vatican secretary of state, Cardinal Pietro Parolin, said in Abu Dhabi. Most Lima Group members have said Maduro, who succeeded late Venezuelan President Hugo Chavez, should quit in favor of Guaido and are calling for a new presidential election. The challenge for the Lima Group is that Mexico opposes measures to oust Maduro. The United States wants Maduro gone, as do other key Western nations. "I think we are at a very critical point in the history of Venezuela," said Alan Duncan, Britain's junior foreign minister, among a number of European representatives attending the Lima Group meeting. "We must all stick together and speak as one until such time as the former President Maduro has stood down and allowed fresh, properly conducted free and fair democratic elections to take place," Duncan added. 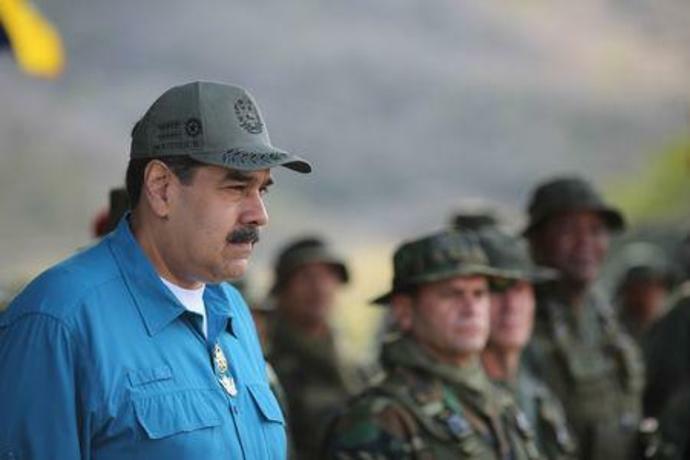 In an interview airing on Spanish television channel Antena 3 on Sunday, Maduro said, "We don't accept ultimatums from anyone," adding: "I refuse to call for elections now - there will be elections in 2024." In New York, United Nations Secretary-General Antonio Guterres said U.N. officials will not participate in any international initiatives on Venezuela in order to remain neutral. Maduro's critics have said incompetent policies and corruption have impoverished the once-wealthy nation, leaving it with widespread shortages of food and medicine and hyperinflation forecast to rise to 10 million percent in 2019. In a televised speech on Monday, Guaido accused Maduro's government of trying to move $1.2 billion from state development bank Bandes to a financial entity in Uruguay, though he did not present evidence. 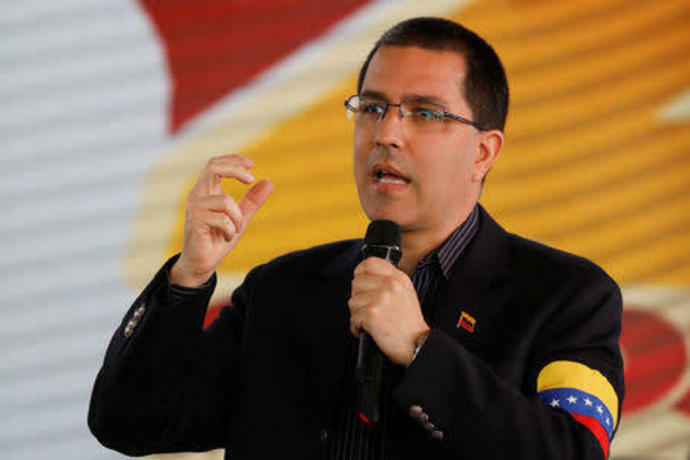 Guaido called on Uruguay to prevent the move. The United States last week imposed sanctions on Venezuelan state-owned oil firm PDVSA in a move likely to cut revenues for the South American country. Canadian Prime Minister Justin Trudeau announced on Monday his country will give C$53 million ($40.3 million) in aid to help alleviate Venezuela's humanitarian crisis.